Winter is nearly over and it’s time to start thinking about pool season. But, don’t whip the cover off and hop in on the first sunny day. 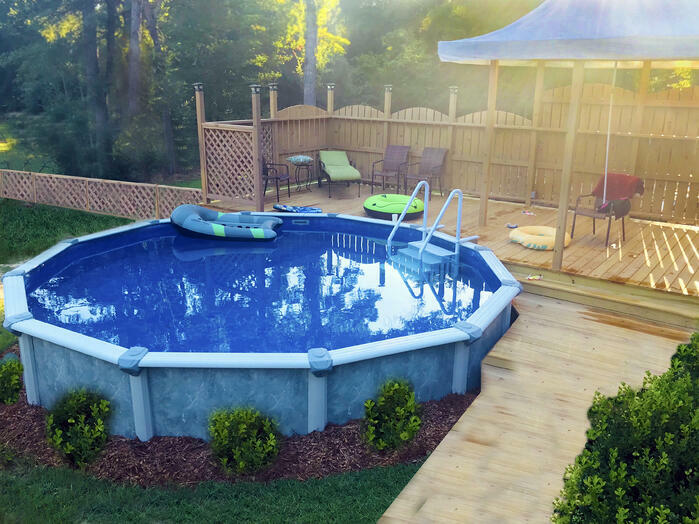 Prepping your pool for summer is a bit of a process, but one that ensures the water is safe, your pool equipment is working, and everything is ready for that first Saturday barbecue. Use these dos and don’ts as a guide to opening your pool. While you’re doing basic maintenance early in the season, leave the cover on. You should clean up the entire pool area, which includes trimming the hedges and trees hanging over the pool area, before taking it off. Be sure to hose it down before you remove it, to make sure any debris is cleared from the area. If there is any water on your pool cover, use a cover pump to remove it. If there is any dry debris such as leaves or sticks, just sweep it off. It is important that you thoroughly clean the cover before removing it and putting it into storage for the summer. Draining your pool can cause problems and rarely solves them. 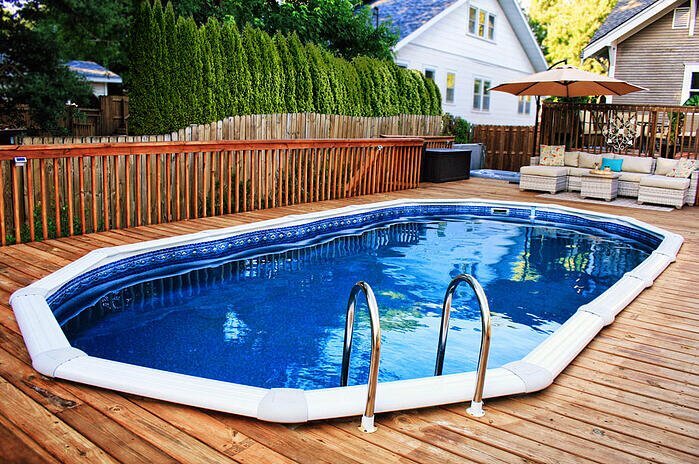 With a vinyl liner swimming pool, draining the pool can cause the liner to dry out and shrink. This would result in the need for a new liner. 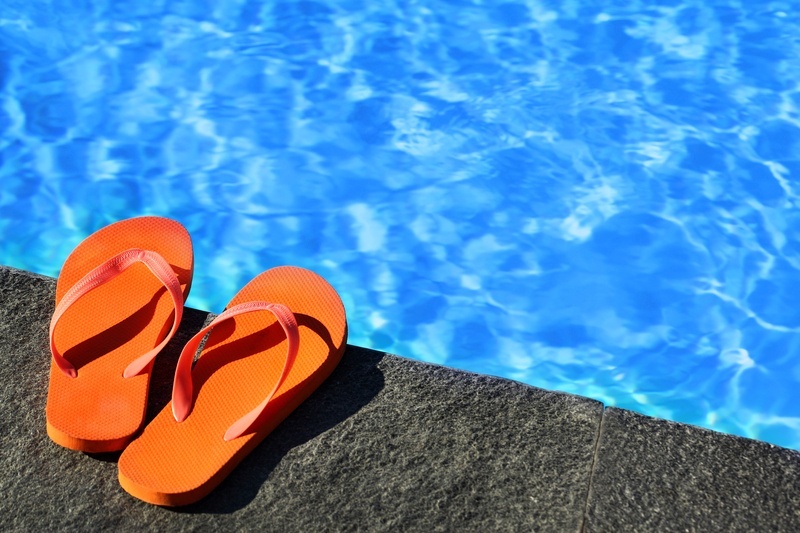 In a fiberglass pool, it is also not recommended to drain the water because fiberglass pools have been known to “pop” out of the ground partially when there is no water to weigh them down. Gunite pools can also be susceptible to surface cracks and damage when drained completely. Check to make sure your pool equipment is working properly. Remove any plugs at this time as well. It’s most important that you check your pump and filter for damage. If you see water collecting below the pump, for example, you may have a leak that’s easier and cheaper to fix sooner than later when the problem spreads. Other important things to check are returns, skimmers, ladders, siding and concrete around the pool. Just because the water looks clear, doesn’t mean it’s clean or safe for you to swim in. There are still a number of things to do before you take your first dip of the season. Always test the water to ensure the chemicals are in balance. If you have a salt system, check your salt cell to ensure it does not need to be cleaned. Similar to a blood test, you want to check all the vitals of your pool’s water: pH, alkalinity, mineral content and chlorine level. Any imbalances will need to be corrected, either by yourself or a professional, depending on the damage. You don’t need to have someone come to your home to test the water. Instead, collect a water sample and take it to your local pool store. Most local pool stores will have a water testing system which will allow them to tell you exactly what chemicals and how much to add to get your pool water perfect. Regardless of what your tests show, when you first open your pool, be sure to shock it to rid the water of algae and bacteria that has likely collected throughout the winter season. Follow that with brushing the pool walls and vacuuming the debris from the water.